Nigerian International football player, Peter Osaze Odemwingie seems to be in trouble as his transfer from West Brom to Cardiff city is under investigation by the Football Association (England FA). According to Daily Mail, Osaze and his then agent Rob Segal are undergoing legal proceedings over agent fees following his September 2013 move. 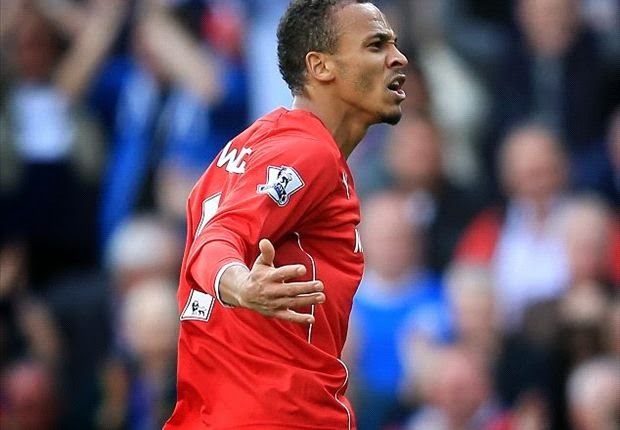 Osaze later moved to Stoke in January and that is also under dispute. The issue is said to have grown and now heading to the English FA tribunal for hearing. Albion have also been contacted by the FA but they are said to be innocent of doing no wrong. Osaze has been involved with the Super Eagles for over 10 years now and has been capped 65 times. He was part of the Eagles party to Brazil and scored Nigeria’s goal against Bosnia-Herzegovina that helped the nation advance to the round of 16 stage in Brazil. Higuain Arrives in Italy for Medical at Napoli.